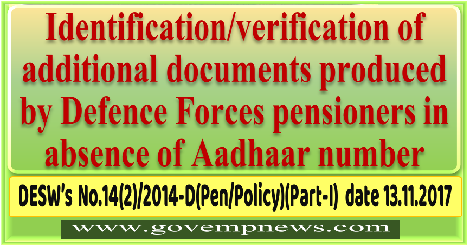 The undersigned is directed to refer to Ministry of Defence, Department of Ex-Servicemen Welfare Notification No. 14(2) / 2014/ D(P/ P) (Part-I) published in Gazette of India on 03.03.2017 vide No. 8.0. 747(E).